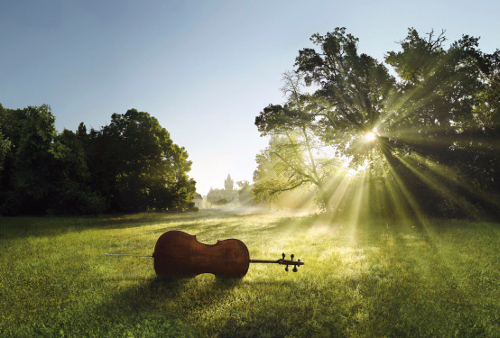 It might not quite be summer yet, but we’re welcoming the warmer weather and breezy nights with a summer classical music playlist that celebrates the season in the most melodic of ways..
Summer wouldn’t be the same Antonio Vivaldi’s “Summer” concerto from “The Four Seasons” violin concerti. The narrative piece is quintessential listening, no matter what the season for its precise expression. Considered one of Robert Schumann’s greatest works and central to the Romantic period, “Fantasie in C Major” was dedicated to Franz Liszt is both grand and evocative; just like summer. Light and happy, Wolfgang Amadeus Mozart’s chamber music ensemble composition “Eine Kleine Nachtmusik” is loosely translated as “a little serenade”. Perfect for summer evening gatherings. The obvious choice for summer listening, George Gershwin’s “Summertime” evokes a certain heat and melancholic yearning. Arguably one of recorded music’s most covered songs (well over 33,000), the aria was written for the 1935 opera Porgy and Bess, and quickly became a jazz favourite. A little summer lovin’ from French composer Hector Berlioz, “Les nuits d’été” is the setting of six poems by Théophile Gautier that celebrates the life cycle of love from youthful innocence to loss and finally renewal. Perfect for a summer romance. American composer Samuel Barber’s “Knoxville, Summer of 1915” is a lush, lyrical love letter to a summer’s eve in the American South. The orchestral piece is based on the words by James Agee. Reminiscent of days by the shore, Movement #3 “A Boat on the Ocean” from French composer Maurice Ravel’s “Mirrors” suite for piano heralds the ocean, and the ebb and flow of the currents. What are your traditional summer tunes? Share with us on our Facebook page!